What you need to know about renting an apartment in Austin with bad credit. Understand that apartments do not treat broken leases/ evictions and/or rental debts the same as bad credit. If you have a bad rental history, please refer to our Rental History Issues section. Unfortunately, I cannot help you if your price range is less than the above mentioned amount as I am not the one who creates the pricing system and qualification policy, but apartments and apartment market are. Many people get discouraged after being declined by an apartment community due to their less than perfect credit. It is true that many apartments turn down those that have bad credit. However, there are also apartments that can work with people with credit issues. Your credit scores will determine the number of options you have. Typically, if your credit scores are below 550, you will have to be flexible with your area requirement. To find out your credit scores, you can visit www.creditkarma.com for free Transunion and Equifax scores, and www.annualcreditreport.com for free credit reports. Generally, when apartments with lenient approval process work with a prospect with bad credit, you can expect them to ask for a refundable extra deposit equal to one month rent. The extra deposit is not to be confused with the initial standard deposit that is required along with application and admin fee when applying to secure a unit. Your rent is $1000. Your move-in date is on Oct 15th. You got approved with a condition that requires for you to pay an extra deposit equal to one month rent. Since your move-in date is on Oct 15th, in this case, your prorated rent will be $500. On your move-in date, the total amount that is due is $1000 (extra deposit) + 500 (prorated rent). The scenario mentioned above is not true for all apartments that work with bad credit. Some may only require $175 + prorated rent. Some may want half a month deposit. 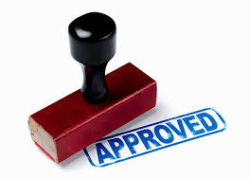 While some would want the extra deposit to be paid 72 hours after the initial approval date. A few do not require any extra deposit whatsoever. In this case, you will have to be flexible with your area requirement. As there are limited apartment options that will approve applicants who have bad credit (with good rental history) with no additional deposit. Different apartment have different stipulations. Apartments Express is aware of these stipulations each apartment has. Let me guide you in the right direction so you know before you go. I will let you know upfront how much money is required upon move-in and what each apartment requires in their approval process. I want to make sure you are comfortable with the decision you make. Have you never established any credit and have, therefore, no credit or lack of credit? That is not a problem. I can locate those apartments that can work with you. Compared to people with bad credit, you are a little better off. Many apartments do prefer people with no credit over bad credit. Yet, there are also those who decline people that have ZERO credit activity. What average apartment searchers do not know is leasing personnel are not allowed to discourage you from applying at the apartment community they work at. Therefore, whenever you call an apartment community and give them your situation, they all will reply: "I won't be able to tell you whether you are approved or not until your application is ran". Not being given a straight answer is quite frustrating. Let me tell you what chance you have at the apartment you are interested in, and even give you better suggestions. Some people may think that the way around strict apartment qualification criteria is to find an apartment that does not check credit. Unfortunately, I have a bad news for you. There is -NO- apartment in Austin and the surrounding areas that do not run credit. Every legitimate apartment community do check credit. Do not fall for those scams that advertise otherwise. Rent an apartment in Austin, TX with bad credit, bankruptcy or foreclosure - Learn about what your apartment options are if you have bad credit. Find out what apartments in Austin, Texas can work with bad credit. Whether you have low credit scores, a lot of collections or whether your credit scores are affected by divorce, student loans, medical bills, bankruptcy, foreclosure, or simply credit card debts, there are apartments in Austin that will work/ accept your low credit scores. Rent an apartment in Cedar Park, TX with bad credit, bankruptcy or foreclosure - Learn about what your apartment options are if you have bad credit. Find out what apartments in Cedar Park, Texas can work with bad credit. Whether you have low credit scores, a lot of collections or whether your credit scores are affected by divorce, student loans, medical bills, bankruptcy, foreclosure, or simply credit card debts, there are apartments in Cedar Park that will work/ accept your low credit scores. Rent an apartment in Georgetown, TX with bad credit, bankruptcy or foreclosure - Learn about what your apartment options are if you have bad credit. Find out what apartments in Georgetown, Texas can work with bad credit. Whether you have low credit scores, a lot of collections or whether your credit scores are affected by divorce, student loans, medical bills, bankruptcy, foreclosure, or simply credit card debts, there are apartments in Georgetown that will work/ accept your low credit scores. Rent an apartment in Pflugerville, TX with bad credit, bankruptcy or foreclosure - Learn about what your apartment options are if you have bad credit. Find out what apartments in Pflugerville, Texas can work with bad credit. Whether you have low credit scores, a lot of collections or whether your credit scores are affected by divorce, student loans, medical bills, bankruptcy, foreclosure, or simply credit card debts, there are apartments in Pflugerville that will work/ accept your low credit scores. Rent an apartment in Round Rock, TX with bad credit, bankruptcy or foreclosure - Learn about what your apartment options are if you have bad credit. Find out what apartments in Round Rock, Texas can work with bad credit. Whether you have low credit scores, a lot of collections or whether your credit scores are affected by divorce, student loans, medical bills, bankruptcy, foreclosure, or simply credit card debts, there are apartments in Round Rock that will work/ accept your low credit scores. Rent an apartment in The Domain with bad credit, bankruptcy or foreclosure - Learn about what your apartment options are if you have bad credit. Find out what apartments in The Domain can work with bad credit. Whether you have low credit scores, a lot of collections or whether your credit scores are affected by divorce, student loans, medical bills, bankruptcy, foreclosure, or simply credit card debts, there are apartments in The Domain that will work/ accept your low credit scores. Rent an apartment downtown Austin with bad credit, bankruptcy or foreclosure - Learn about what your apartment options are if you have bad credit. Find out what apartments downtown Austin can work with bad credit. Whether you have low credit scores, a lot of collections or whether your credit scores are affected by divorce, student loans, medical bills, bankruptcy, foreclosure, or simply credit card debts, there are apartments in downtown Austin that will work/ accept your low credit scores. Apartments in Austin, TX that accept bad credit, bankruptcy or foreclosure - Have you been turned down by apartments in Austin because of your credit? Do you feel discouraged because your application keeps getting declined? Learn about what your apartment options are if you have bad credit. Find out what apartments in Austin, Texas can work with bad credit. Whether you have low credit scores, a lot of collections or whether your credit scores are affected by divorce, student loans, medical bills, bankruptcy, foreclosure, or simply credit card debts, there are apartments in Austin that will work/ accept your low credit scores. Apartments in Cedar Park, TX that accept bad credit, bankruptcy or foreclosure - Have you been turned down by apartments in Cedar Park because of your credit? Do you feel discouraged because your application keeps getting declined? Learn about what your apartment options are if you have bad credit. Find out what apartments in Cedar Park, Texas can work with bad credit. Whether you have low credit scores, a lot of collections or whether your credit scores are affected by divorce, student loans, medical bills, bankruptcy, foreclosure, or simply credit card debts, there are apartments in Cedar Park that will work/ accept your low credit scores. Apartments in Georgetown, TX that accept bad credit, bankruptcy or foreclosure - Have you been turned down by apartments in Georgetown because of your credit? Do you feel discouraged because your application keeps getting declined? Learn about what your apartment options are if you have bad credit. Find out what apartments in Georgetown, Texas can work with bad credit. Whether you have low credit scores, a lot of collections or whether your credit scores are affected by divorce, student loans, medical bills, bankruptcy, foreclosure, or simply credit card debts, there are apartments in Georgetown that will work/ accept your low credit scores. Apartments in Pflugerville, TX that accept bad credit, bankruptcy or foreclosure - Have you been turned down by apartments in Pflugerville because of your credit? Do you feel discouraged because your application keeps getting declined? Learn about what your apartment options are if you have bad credit. Find out what apartments in Pflugerville, Texas can work with bad credit. Whether you have low credit scores, a lot of collections or whether your credit scores are affected by divorce, student loans, medical bills, bankruptcy, foreclosure, or simply credit card debts, there are apartments in Pflugerville that will work/ accept your low credit scores. Apartments in Round Rock, TX that accept bad credit, bankruptcy or foreclosure - Have you been turned down by apartments in Round Rock because of your credit? Do you feel discouraged because your application keeps getting declined? Learn about what your apartment options are if you have bad credit. Find out what apartments in Round Rock, Texas can work with bad credit. Whether you have low credit scores, a lot of collections or whether your credit scores are affected by divorce, student loans, medical bills, bankruptcy, foreclosure, or simply credit card debts, there are apartments in Round Rock that will work/ accept your low credit scores. Apartments in The Domain that accept bad credit, bankruptcy or foreclosure - Have you been turned down by apartments in the Domain because of your credit? Do you feel discouraged because your application keeps getting declined? Learn about what your apartment options are if you have bad credit. Find out what apartments in The Domain, Texas can work with bad credit. Whether you have low credit scores, a lot of collections or whether your credit scores are affected by divorce, student loans, medical bills, bankruptcy, foreclosure, or simply credit card debts, there are apartments in The Domain that will work/ accept your low credit scores. Apartments in downtown/ central Austin that accept bad credit, bankruptcy or foreclosure - Have you been turned down by apartments in downtown Austin because of your credit? Do you feel discouraged because your application keeps getting declined? Learn about what your apartment options are if you have bad credit. Find out what apartments in downtown Austin can work with bad credit. Whether you have low credit scores, a lot of collections or whether your credit scores are affected by divorce, student loans, medical bills, bankruptcy, foreclosure, or simply credit card debts, there are apartments in downtown Austin that will work/ accept your low credit scores. Apartments in Austin, TX that work with bad credit, bankruptcy or foreclosure - Have you been turned down by apartments in Austin, Texas because of your credit? Do you feel discouraged because your application keeps getting declined? Learn about what your apartment options are if you have bad credit. Find out what apartments in Austin, Texas can accept with bad credit. Whether you have low credit scores, no credit, a lot of collections or whether your credit scores are affected by divorce, student loans, medical bills, bankruptcy, foreclosure, or simply credit card debts, there are apartments in Austin that will accept your low credit scores. Apartments in Cedar Park, TX that work with bad credit, bankruptcy or foreclosure - Have you been turned down by apartments in Cedar Park, Texas because of your credit? Do you feel discouraged because your application keeps getting declined? Learn about what your apartment options are if you have bad credit. Find out what apartments in Cedar Park, Texas can accept with bad credit. Whether you have low credit scores, no credit, a lot of collections or whether your credit scores are affected by divorce, student loans, medical bills, bankruptcy, foreclosure, or simply credit card debts, there are apartments in Cedar Park that will accept your low credit scores. Apartments in Georgetown, TX that work with bad credit, bankruptcy or foreclosure - Have you been turned down by apartments in Georgetown, Texas because of your credit? Do you feel discouraged because your application keeps getting declined? Learn about what your apartment options are if you have bad credit. Find out what apartments in Georgetown, Texas can accept with bad credit. Whether you have low credit scores, no credit, a lot of collections or whether your credit scores are affected by divorce, student loans, medical bills, bankruptcy, foreclosure, or simply credit card debts, there are apartments in Georgetown that will accept your low credit scores. Apartments in Pflugerville, TX that work with bad credit, bankruptcy or foreclosure - Have you been turned down by apartments in Pflugerville because of your credit? Do you feel discouraged because your application keeps getting declined? Learn about what your apartment options are if you have bad credit. Find out what apartments in Pflugerville, Texas can accept with bad credit. Whether you have low credit scores, no credit, a lot of collections or whether your credit scores are affected by divorce, student loans, medical bills, bankruptcy, foreclosure, or simply credit card debts, there are apartments in Pflugerville that will accept your low credit scores. Apartments in Round Rock, TX that work with bad credit, bankruptcy or foreclosure - Have you been turned down by apartments in Round Rock, Texas because of your credit? Do you feel discouraged because your application keeps getting declined? Learn about what your apartment options are if you have bad credit. Find out what apartments in Round Rock, Texas can accept with bad credit. Whether you have low credit scores, no credit, a lot of collections or whether your credit scores are affected by divorce, student loans, medical bills, bankruptcy, foreclosure, or simply credit card debts, there are apartments in Round Rock that will accept your low credit scores. Apartments in The Domain that work with bad credit, bankruptcy or foreclosure - Have you been turned down by apartments in The Domain because of your credit? Do you feel discouraged because your application keeps getting declined? Learn about what your apartment options are if you have bad credit. Find out what apartments in The Domain can accept with bad credit. Whether you have low credit scores, no credit, a lot of collections or whether your credit scores are affected by divorce, student loans, medical bills, bankruptcy, foreclosure, or simply credit card debts, there are apartments in The Domain that will accept your low credit scores. Apartments in Austin, TX that work with people with no credit - If you have never established a credit history and, therefore, have no credit score, there are apartments in Austin that will work with your situation. Apartments in Cedar Park, TX that work with people with no bad credit - If you have never established a credit history and, therefore, have no credit score, there are apartments in Cedar Park that will work with your situation. Apartments in Georgetown, TX that work with people with no credit - If you have never established a credit history and, therefore, have no credit score, there are apartments in Georgetown that will work with your situation. Apartments in Pflugerville, TX that work with people with no credit - If you have never established a credit history and, therefore, have no credit score, there are apartments in Pflugerville that will work with your situation. Apartments in Round Rock, TX that work with people with no credit - If you have never established a credit history and, therefore, have no credit score, there are apartments in Round Rock that will work with your situation. Apartments in The Domain that work with people with no credit - If you have never established a credit history and, therefore, have no credit score, there are apartments in The Domain that will work with your situation. Apartments in Austin, TX that accept with people with no credit - If you have never established a credit history and, therefore, have no credit score, there are apartments in Austin, Texas that will accept your situation. Apartments in Cedar Park, TX that accept with people with no bad credit - If you have never established a credit history and, therefore, have no credit score, there are apartments in Cedar Park, Texas that will accept your situation. Apartments in Georgetown, TX that accept with people with no credit - If you have never established a credit history and, therefore, have no credit score, there are apartments in Georgetown, Texas that will accept your situation. Apartments in Pflugerville, TX that accept with people with no credit - If you have never established a credit history and, therefore, have no credit score, there are apartments in Pflugerville, Texas that will accept your situation. Apartments in Round Rock, TX that accept with people with no credit - If you have never established a credit history and, therefore, have no credit score, there are apartments in Round Rock, Texas that will accept your situation. Apartments in The Domain that accept with people with no credit - If you have never established a credit history and, therefore, have no credit score, there are apartments in The Domain that will accept your situation.